Marketing is at the heart of every successful business operation in major cities like Dallas. Reaching your target market or audience and closing out sales are the ultimate focus of every organization, including those in the roofing business. If you are a professional roofer in Dallas looking to widen your market in order to reach homeowners needing roof repair or installation service, a good place to start is through social media. If you are a homeowner looking for a reputable roofer for your repair needs, the same suggestion applies. Social networking is presently one of the best methods to search for things or services. One of the social media giants today is Facebook. It boasts a 1.49 billion monthly active users as of October 2015. The mobile active users of the platform number 1.31 billion. As of May 2013, 16 million local businesses pages were created. These figures are impressive and cannot simply be ignored. 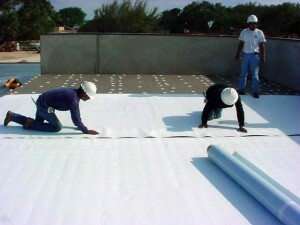 That is why every Dallas roofing company actively use Facebook to boost its operations. Facebook is friendly to firms who want to use its extensive exposure for their businesses and gives advice on how to create pages to make them visible to people searching the site for specific needs. Advice includes inviting friends and business contacts to its page to establish credibility and help spread the word. A roofing company that adopted smartphones years ago counts Facebook as one of the most useful applications on its mobile devices in terms of lead generation and brand awareness. While the company has enjoyed success targeting specific geographical areas to get new business, the real benefit from using Facebook is establishing brand recognition with prospective clients who may become customers in the future. The company uses Facebook to interact positively with people who may remember the company when they have roofing needs someday. Posting messages on Facebook is not enough for brand awareness. The posts should contain details about company projects and their challenges and achievements so that readers become aware of the company’s professionalism and care for customers. Some industry insiders say Facebook is more of a social interaction with potential customers and brand awareness rather than a lead generator for roofing businesses. Few leads may come from Facebook, but that should not be the main concern of firms. The essence of social media is about communication with the community, promoting company culture and sharing knowledge about the brands.